Parisian born, Haudebourt-Lescot began studies with Guillaume Guillon-Lethiere, a popular history painter and family friend, at the age of seven. When in 1807 he was appointed director of the French Academy, Rome, she followed him, arriving in 1808 and remaining there until 1816. A painter of genre subjects, she depicted the customs and colourful costumes of Italian peasants in great detail, a popular subject of the time symbolising a time of past innocence amid the growing industrialisation. Such foreign experience was rare for a woman artist, and in uenced much of her work. 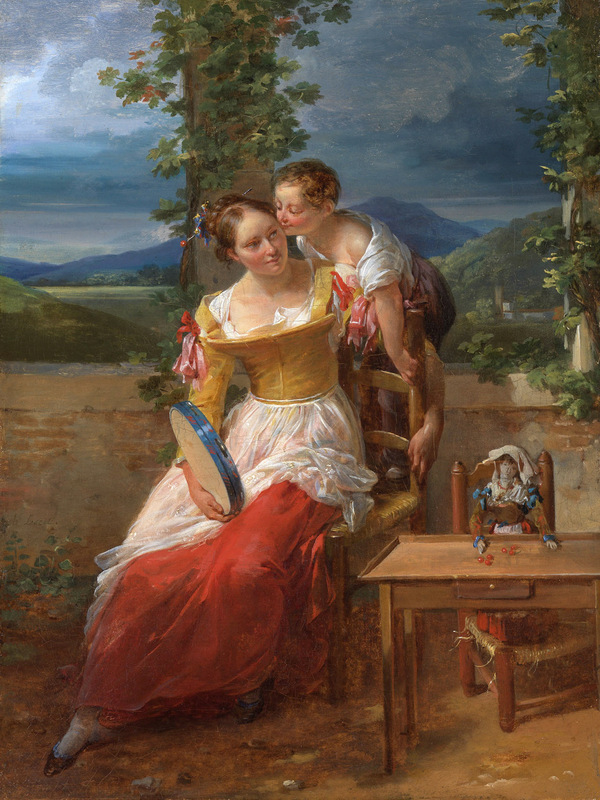 Far from copying Italian masterworks, many of her paintings depicted the daily life of women. the French government for the museum at Versailles, and was the only female artist included in François Joseph Heim’s monumental depiction of Charles X awarding medals to artists for the Salon of 1824.